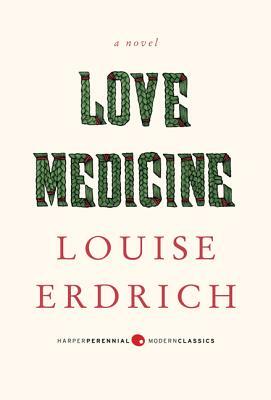 Set on and around a North Dakota reservation, Love Medicine, the first novel by National Book Award–winning author Louise Erdrich is the epic story about the intertwined fates of two families: the Kashpaws and the Lamartines. With astonishing virtuosity, each chapter draws on a range of voices to limn its tales. Black humor mingles with magic, injustice bleeds into betrayal, and through it all, bonds of love and family marry the elements into a tightly woven whole that pulses with the drama of life. Filled with humor, magic, injustice and betrayal, Erdrich blends family love and loyalty in a stunning work of dramatic fiction, now available in this Harper Perennial Deluxe Modern Classic, featuring beautiful cover artwork on uncoated stock, French flaps, and deckle-edge pages.